I was involved in an auto accident. The person that hit me was uninsured. My insurance company paid for my damages. 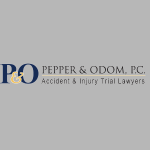 Home » FAQs » I was involved in an auto accident. The person that hit me was uninsured. My insurance company paid for my damages. Usually the UM carrier waives their subrogation claim based on them approving the settlement agreement with the tortfeasors and the injured party. You situation does not make sense to me because the other party who your attorney wishes to counterclaim against is uninsured, so that would mean that they & you intend to go against the other driver personally and generally that is only feasible if the person has money or assets worth going through all the trouble a collecting even if you are successful with your lawsuit. I can not say anymore about the “ratification agreement” without seeing the language it contains, but I think you biggest concern will be does this create a conflict between you and the attorney the insurance company assigned to you. I hope that helps. What is the punishment in MS for disturbing the peace? Can I sue a driver that drives someone else’s insured vehicle after I settle since it’s not the driver’s insurance?